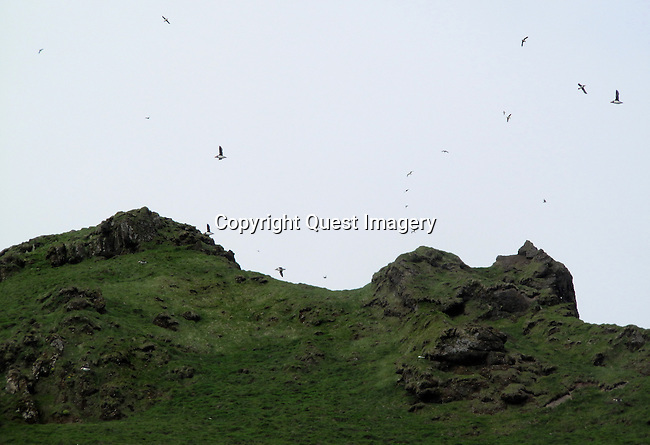 Vestmannaeyjar (Westman Islands) is a town and archipelago off the south coast of Iceland. The largest island, Heimaey, has a population of more than 4,000. The other islands are uninhabited, although six have single hunting cabins. Vestmannaeyjar came to international attention in 1973 with the eruption of Eldfell volcano, which destroyed many buildings and forced a months-long evacuation of the entire population to mainland Iceland. Approximately one fifth of the town was destroyed before the lava flow was halted by application of 6.8 billion litres of cold sea water.